Nice location, the port and main street just minutes' walk away. A bunch of shops, restaurants and supermarket are just nearby. Great sea view from the window. Friendly Staff. Very friendly and helpful owners who went out of their way to make our stay comfortable and easy. Highly recommend this place. Owners are very friendly and helpful. Kitchen had basics for cooking and table service. Easy walk to restaurants and to Whitsunday Cruise departure area. Has an awesome view! Pool on site was perfect. Washer & Dryer & dryer rack also. The management staff was wonderful and very helpful. The view from the balcony kept me captive -- especially when it cooled off at night. Everything was available in the apartment and it was close to everything in town. Woman at reception (I think Colleen?) was amazingly friendly and helpful. Offered to help book tours for us and also gave us some useful local information when we first checked in like the weekend markets across the park. Apartment was clean and really very nice. Great view of the ocean from the balcony. It was also very quiet and peaceful despite the place being so close to the main shopping area. Woolies is about a 5-10 minute walk up the road. Incredibly friendly and helpful staff! Great pool area and overall location was very convenient. Bed was very comfy, prime location for all of Airlie beach, very friendly staff. Coleen ad her Husband were extremely friendly and the apartment was spotless , highly recommend this complex to anyone visiting Airlie beach . Went out of their way to make us welcome beautiful place amazing hosts! 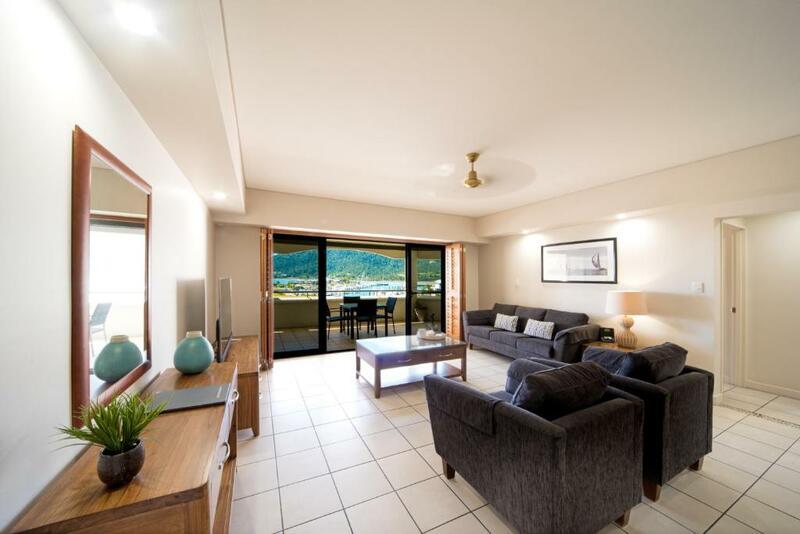 Lock in a great price for Portside Whitsunday Luxury Holiday Apartments – rated 9.3 by recent guests! 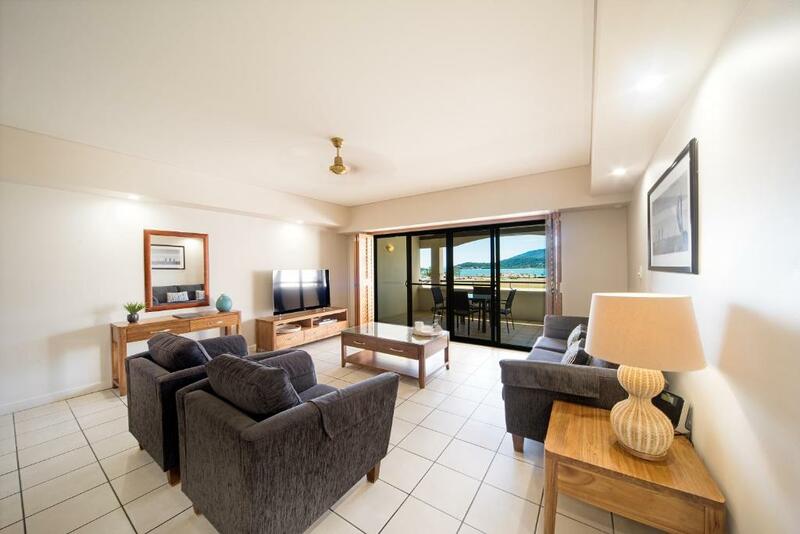 Portside Whitsunday Luxury Holiday Apartments This rating is a reflection of how the property compares to the industry standard when it comes to price, facilities and services available. It's based on a self-evaluation by the property. Use this rating to help choose your stay! 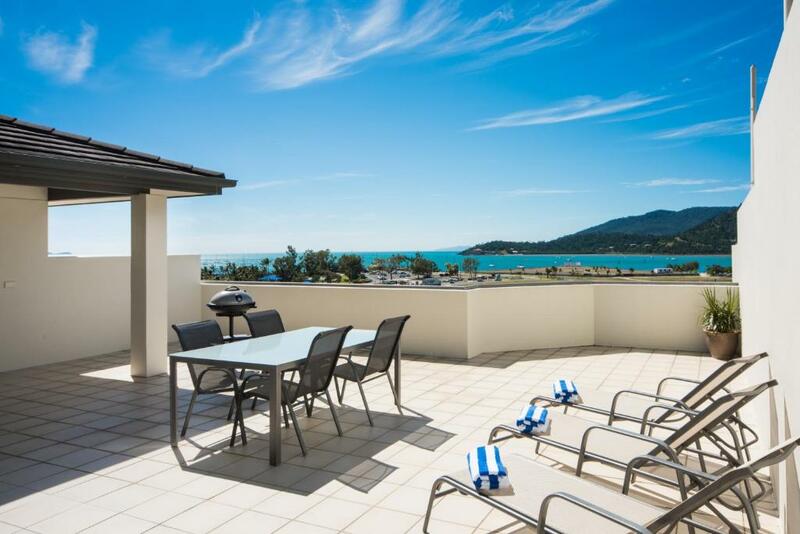 One of our top picks in Airlie Beach.A 150 feet walk to Airlie Beach, this resort features a heated outdoor pool, free WiFi and landscaped tropical gardens. 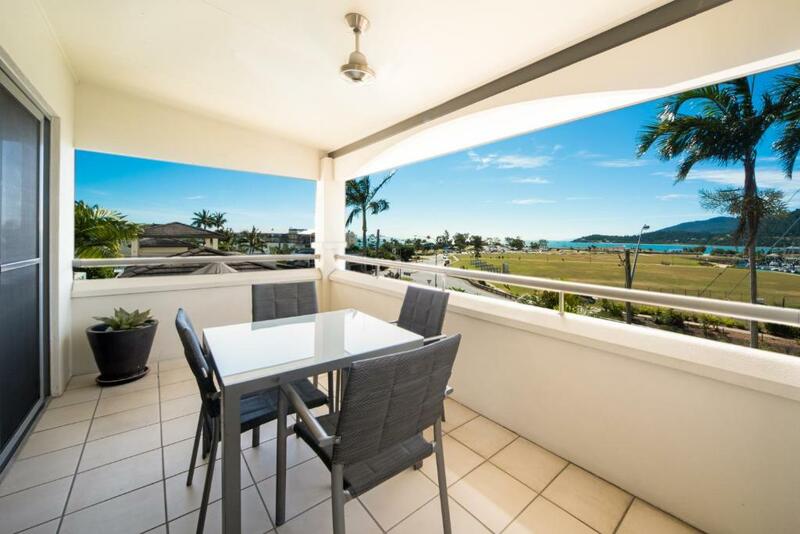 It features spacious apartments with private balconies offering views over the Whitsunday Islands. Some apartments boast a hot tub. Each if the the air-conditioned Portside Apartments offer a fully equipped kitchen, a dining area and large seating areas. All include cable TV in both the lounge area and master bedroom. Penthouse apartments offer a private terrace with a hot tub and a BBQ. 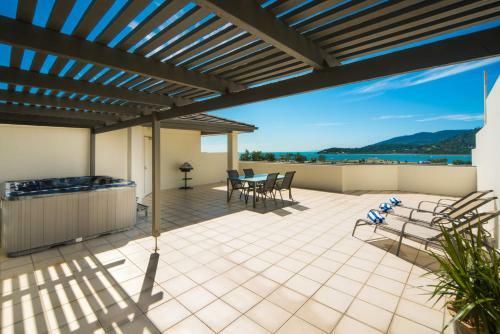 Guests of Portside Whitsunday Apartments can relax in the pool area and enjoy the panoramic sea views from their terrace or balcony. Portside Whitsunday Holiday Apartments provides a convenient base to explore the Whitsunday Islands and the Great Barrier Reef. Free on-site parking is provided. 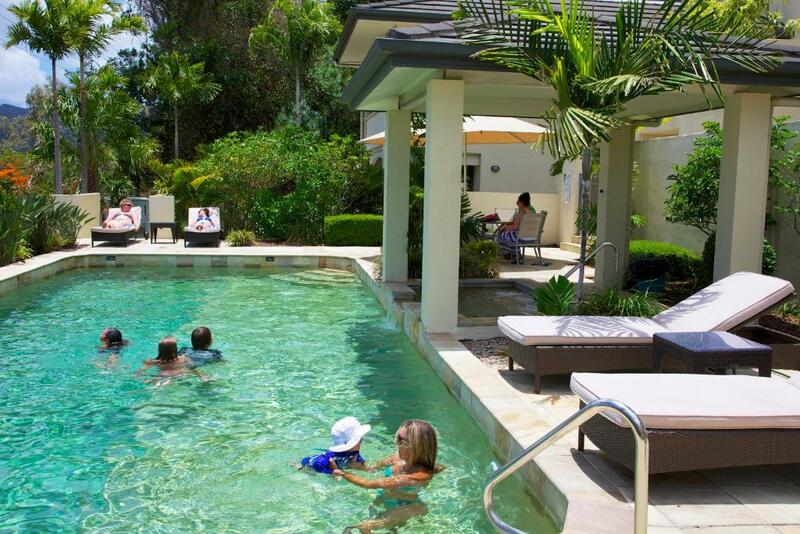 This is our guests' favorite part of Airlie Beach, according to independent reviews. 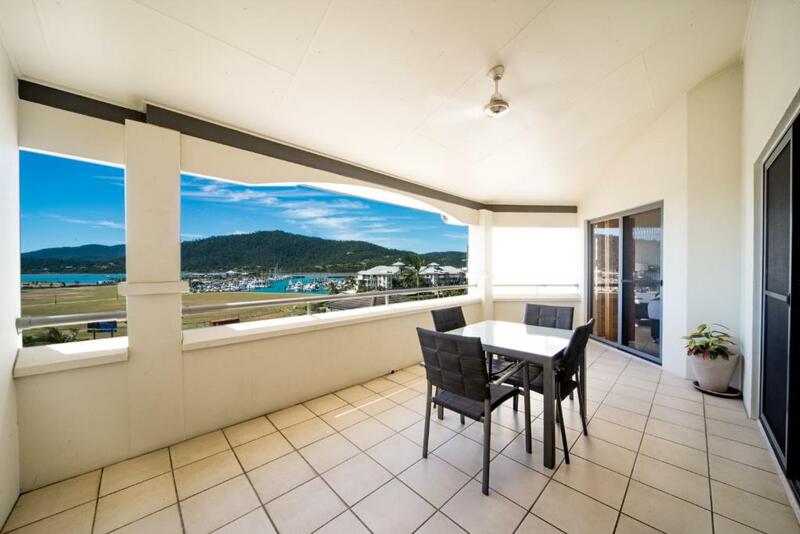 This property also has one of the top-rated locations in Airlie Beach! Guests are happier about it compared to other properties in the area. This property is also rated for the best value in Airlie Beach! Guests are getting more for their money when compared to other properties in this city. 뀐 Located in the top-rated area in Airlie Beach, this property has an excellent location score of 9.5! When would you like to stay at Portside Whitsunday Luxury Holiday Apartments? This air-conditioned apartment features a fully equipped kitchen, a dining setting and laundry facilities. Both the lounge area and master bedroom offer cable TV. Penthouse apartment offering a private rooftop with hot tub and barbecue facilities. The master bedroom also has a TV. This air-conditioned apartment features a fully equipped kitchen, a dining setting, 2 bathrooms and laundry facilities. Both the lounge area and master bedroom offer cable TV. This air-conditioned penthouse apartment features a private rooftop with a hot tub and a BBQ. It includes a fully equipped kitchen. Both the lounge area and master bedroom offer cable TV. This air-conditioned apartment offers sea views, a kitchen and laundry facilities. The master bedroom also has cable TV. This apartment is accessible by elevator. This air-conditioned apartment features a private pool, a fully equipped kitchen and 3 bathrooms. Both the lounge area and master bedroom offer cable TV. This air-conditioned apartment features a hot tub, a kitchen and ocean views. It includes satellite TV and laundry facilities. The master bedroom also has a TV. This studio has a balcony, tile/marble floor and kitchenware. Our apartments are fully self contained with large balconies that have lovely Marina and Coral sea views. Cook at home or take a short stroll to one of the superb restaurants at our door step. Perhaps a BBQ by the heated wet edge pool ! My husband John and myself have managed Portside for 11 years. We enjoy the wonderful climate of the Whitsundays and love our fantastic location. When time allows, John enjoys a round of golf and I spend time with my horses. 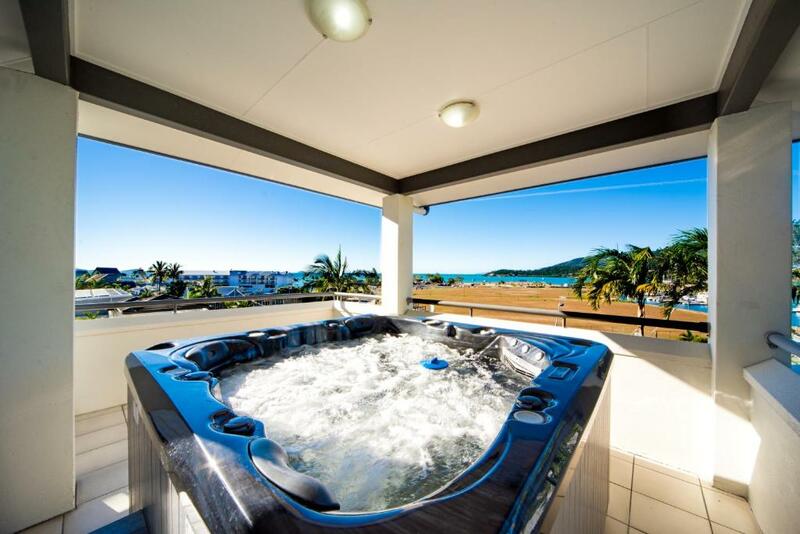 House Rules Portside Whitsunday Luxury Holiday Apartments takes special requests – add in the next step! One child under 6 years is charged AUD 35 per night when using existing beds. Debit card Portside Whitsunday Luxury Holiday Apartments accepts these cards and reserves the right to temporarily hold an amount prior to arrival. Portside Whitsunday Luxury Holiday Apartments accepts these cards and reserves the right to temporarily hold an amount prior to arrival. Please inform Portside Whitsunday Luxury Holiday Apartments of your expected arrival time in advance. You can use the Special Requests box when booking, or contact the property directly using the contact details in your confirmation. Location is great. Friendly & clean. Nice pool. Would have liked the room to have been bigger and to have included a lounge chair/couch. Liked the location, friendly reception manager, pool facilities, comfortable pillows and bed. Central and private and very comfortable, we did not want to leave. 100% recommended. Modern apartment. Spacious. Amazing gardens, beautiful pool setting. Colleen is an excellent host and very personable. Coleen and John made us very welcome. Any questions we had about anything were answered. We booked all our trips here with Coleen who gave us fantastic advice about using our time here and at the best cost. The apartment had fabulous views and was in easy walking distance of beach and shops and ports. Would like to say a massive thank you to them for making us feel at home and I’m sure we will be back to Australia and would make a stop here again. Fantastic.After looking at other properties in the area we definitely made a great choice. Leaving the place too soon. Lift was a bit clunky and smelt a bit stale. Our dishes were dirty and we didn’t get clean towels.